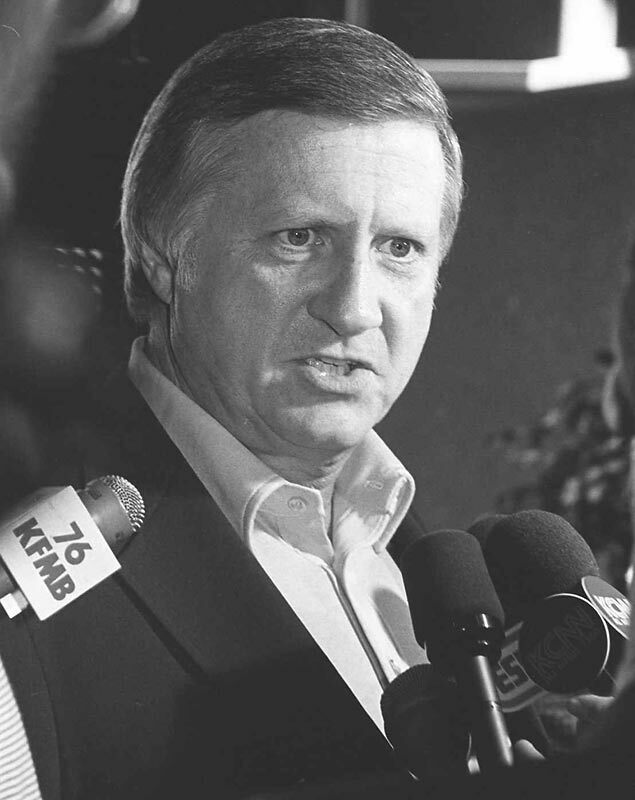 If George Steinbrenner were still alive… I just couldn’t resist starting this week’s column with a reference to the late “Boss.” Surely, he would not have been pleased by the Yankees’ season-opening performance in Tampa Bay. Three straight losses to start the season, lowlighted by poor pitching in the first two games and a nonexistent offense in the finale, would have been enough to ignite a Steinbrenner tantrum or two, at least in his prime years. I won’t offer up any tantrums here. After all, it is only three games, and three games against one of the better teams in the American League. But then again, this series did not exactly produce a highlight reel of great moments in Joe Girardi’s managerial career. We’ve already heard plenty about his panic-stricken decision to intentionally walk the immortal Sean Rodriguez in the very first inning of game one, setting up Carlos Pena’s backbreaking grand slam. So there is no need to add charcoal to that fire. Just as egregious was Girardi’s decision to start Eduardo Nunez in the second game while giving Derek Jeter a half-day off as the DH. Here we go with the issue of rest, yet again! It is beyond ridiculous that Jeter needed any kind of rest in the second game of the season. The counterargument that Jeter’s legs needed a break from the artificial turf of Tropicana Field doesn’t hold much water either, since most of the Rays’ infield is actually covered with dirt, like a traditional grass infield, and not the harder artificial surface. Whatever the rationale for the Jeter/Nunez move, the Yankees paid the price on Nunez’ first inning error, which led to two unearned runs against a shaky Hiroki Kuroda. Later in the game, Girardi inexplicably allowed lefty specialist Clay Rapada to face the Rays’ best hitter, Evan Longoria, who responded with a ringing double that was nearly a home run. How could Girardi have allowed this matchup to take place? This is the same Rapada who allowed right-handed batters to hit .692 against him in 16 plate appearances last season! In the third game, Girardi made another bad lineup decision. For some reason, he decided to play the defensively challenged Raul Ibanez in right field, a position that he has not played since 2005. Ibanez is bad enough in left field, but putting him in the unfamiliar territory of right field, and in a domed ballpark where it is often difficult to pick up the flight of the ball against the roof, is just begging for misadventure. Sure enough, Ibanez delivered with his first error of the season. If Nick Swisher absolutely needed a day off from right field–and to me it’s questionable that he needed a day off so early in the season–then Girardi should have played Andruw Jones in right field and simply foregone the platoon advantage. Clearly, this was not a good weekend for Girardi, whose obsession with “rest” has become almost comical, and has overridden all other managerial tenets of common sense. I guess there’s little hope that Girardi will change this tendency; we can only hope that he starts to show a better feel for in-game managing, especially with regard to intentional walks and the decision to ever let Rapada face a right-handed batter the quality of Longoria. Still, I’m not going to panic. Coming out of spring training, the Yankees were the consensus pick of the media to win the American League East. I believe they remain the favorites, even in a stacked division. CC Sabathia and Mariano Rivera will pitch better, Mark Teixeira will start to hit (though he still needs to stop the pull-the-ball tendencies), and the depth of the pitching staff will win out. Prior to the tempest in Tampa Bay, the Yankees generated some controversy on the final day of spring training when they made room for newly acquired backup catcher Chris Stewart by demoting Francisco Cervelli to their Scranton/Wilkes Barre, affiliate, also known by its alternate nickname, the Empire State Yankees. More than a few Yankee fans were outraged by the decision, but you can put me in the opposite camp on this issue. Despite his reputation as a superior defender, Cervelli has actually become a major liability behind the plate. He makes far too many errors, a total of 19 over the last two seasons combined. Even more alarmingly, he has thrown out a scant 14 per cent of opposing base stealers in each of the last two seasons. That’s such a paltry number that it’s reminiscent of the throwing troubles of Johnny Blanchard and Cliff Johnson, two former Yankee backup receivers of decades gone by. At least Blanchard and “Heathcliff” could hit, and with enough power to make them game-changers in the late innings. Cervelli is a .260 hitter with no power; he has marginal offensive talents, and not nearly enough offensive potential to make up for his poor throwing and erratic decision-making. Finally, I’m a little disappointed the Yankees received nothing for Justin Maxwell, other than the waiver price the Astros paid for in claiming him on Sunday. Maxwell’s value should have been at its apex after a great spring in which he impressed everyone with his game- breaking speed, versatile defensive ability, and live bat. I know that he’s 28 and not anyone’s idea of a top prospect, but he has the tools to be a very good fourth outfielder–and that should carry some value. It seems to me that the Yankees should have at least extracted a Grade-C prospect from the Astros or the Orioles, the two teams who expressed the most interest in Mad Max during the spring. Maxwell couldn’t crack the Yankees’ bench, but he has enough talent to play regularly for the awful Astros. Houston is playing three unproven kids in its baby cradle outfield (J.D. Martinez, Jordan Schafer and Brian Bogusevic). Martinez is regarded as the Astros’ top prospect, but Schafer is a failed prospect out of the Braves’ system and Bogusevic is off to a slow start, so Maxwell figures to receive plenty of opportunity at Minute Maid Park. Maxwell is a fun player to watch. I’ll be rooting for him to do well for the Astros, who could use all the help they can muster. Bruce Markusen writes “Cooperstown Confidential” for The Hardball Times. I am wondering if Girardi is just trying to get all of his players in the game and so they don't get rusty from inactivity? It is hard to place all of the blame on Joe. The starting pitching was pretty spotty and the offense was non-existent in the matchup on Sunday. At least as far as results were concerned as they squared up some balls and just hit it into Rays gloves. For all of Teixera's talk about beating the shift employed against him, where are these bunts you promised? Greg, I wouldn't put all of the blame on Girardi. The first game, with a one-run lead and Rivera on the mound, is a game they should have won--and usually do. And there wasn't much he could have done in the second and third games once the games started. Tex doesn't need to bunt, he just needs to take the outside pitch to the opposite field, like Fielder did for the Tigers on Sunday. Man, if they give you a wide-open left side and all you need is a man on base, take it!